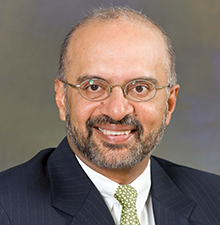 Piyush Gupta is the Chief Executive Officer and Director of DBS Group, and held this position since November 9, 2009. He is credited with leading DBS to become a top Asian financial services group. He has received widespread industry recognition. Gupta was named as the Singapore Business Leader of the Year by CNBC in 2014, ‘Best CEO, Asia Pacific’ by The Asian Banker, and ‘Best CEO, Singapore’ by Asiamoney and The Business Times in 2013. He has earned a seat at the high table of international finance, where he contributes to shaping directions for the sector. He has advocated the need for the industry to think long-term and focus on finding solutions for social needs. Gupta is also a strong proponent of Digital Banking and believes that that the industry’s digital strategy will be key to its fate. Before joining DBS, Piyush was Citigroup’s Chief Executive Officer for South East Asia, Australia and New Zealand, where he began his career in 1982. Piyush’s external appointments include serving as the Deputy Chairman of SPRING Singapore, council member of the Asian Bureau of Finance and Economic Research, board member of Infocomm Development Authority of Singapore, the Institute of International Finance, Washington, The Institute of Banking and Finance, Dr. Goh Keng Swee Scholarship Fund, and the MasterCard Asia/Pacific, Middle East and Africa Regional Advisory Board. Piyush Gupta has a Bachelor of Arts (Honours) Degree in Economics from St. Stephen's College, Delhi University, India and an MBA from IIM, Ahmedabad.